Through effective integration, we maximize productivity and further strengthen competitiveness, and this has enabled Bull Will to have successfully transitioned to become a provider of both production and design services. 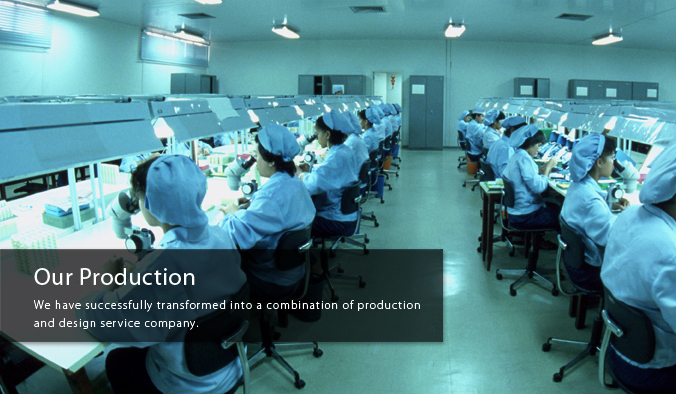 Our production space expanded from one 8000 m2 plant to three plants with a total of 23,000 m2 at the end of 2011. Our team of engineering and quality assurance professionals have grown to a total of 50. Under normal circumstances, we can complete required samples within 72 hours. We uphold a professional attitude to continuously improve our customer service competitiveness. An important element of quality assurance is data collection and analysis, and this data is used in the measure of raw materials, components, products and assembly processes. Bull Will has developed excellent data collection and analysis techniques from product design and development to the production stage. In line with ISO 9001 standards, all Bull Will personnel take Business Excellence as their work benchmark. As such, we continuously strive for improvement as our core operating concept at all levels of our organization.